The timing is perfect. All of our population is here and that is important for the designers. They all know what demographic they are trying to reach. Some aim for a younger client and some are more for a mature client. 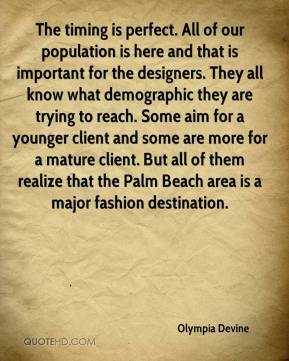 But all of them realize that the Palm Beach area is a major fashion destination. This event is very appreciated. The boutiques really saw a need for it. The ladies love it. I don't have to tell you that our population is exploding here. We get the residents and the tourists. We've added more days this year and some of the venues have already sold out. 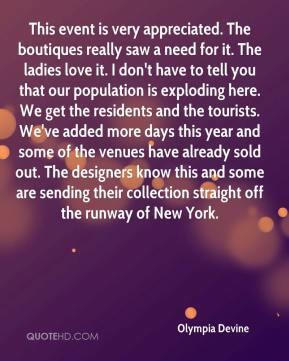 The designers know this and some are sending their collection straight off the runway of New York.